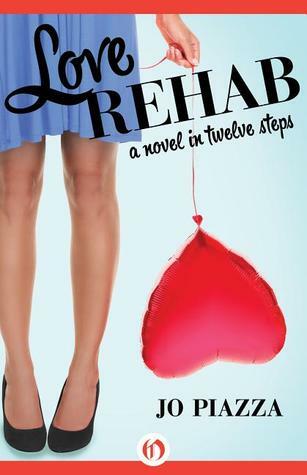 After Sophie's ugly breakup leaves her ice-cream-eating in pajamas on her Grandma's couch and her best friend, Annie's alcohol-induced escapades lands her in AA, together they form Love Rehab, a retreat for New York's most love-sick addicts. Hilarity ensues. The first couple chapters of this book had me rolling. The beginning was drenched in cynicism and sarcasm and I was loving it. I haven't read many books that had me laughing out loud. This one had me laughing out loud and with duration. It was quirky and real. The laughter load lightens a bit toward the meat and bones of the story, which was slightly disappointing, but still enjoyable. I really felt like I understood what each girl was going through. It was tender when it needed to be tender and gritty when it needed to be gritty. It was basically a rom-com that was heavier on the com than the rom. It gets a little cheesy at moments, but overall, it's a quick, fun read that is perfect for a poolside respite.